The most commonly seen female headers are 2.54mm (0.1”) single or double row female/socket headers. 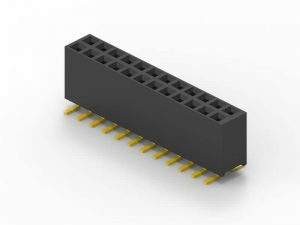 These female headers together with its male counterpart are used in connecting Arduino boards and shields together. 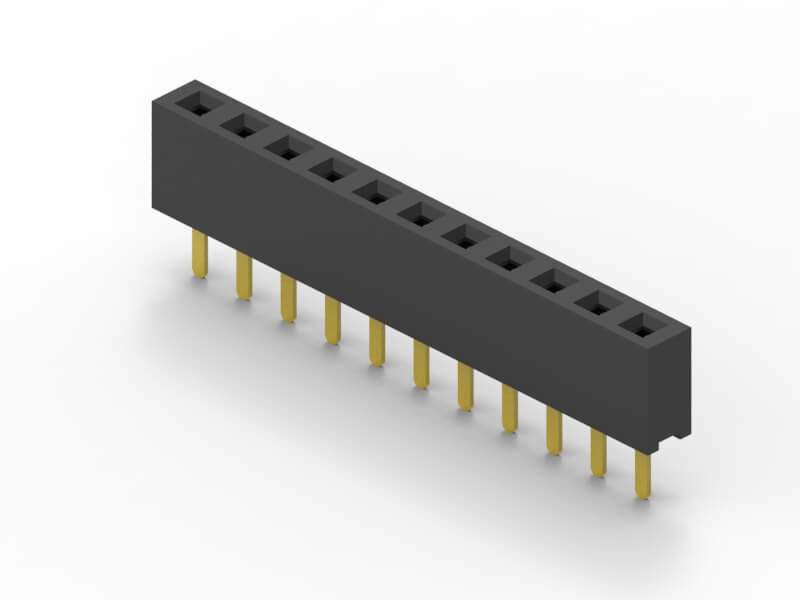 2.54mm pitch female sockets/headers are low-profile connectors designed for signal and low power PC board connections when space is at a premium. They have the perfect height for clearing the USB-B connector and great for stacking multiple shields. 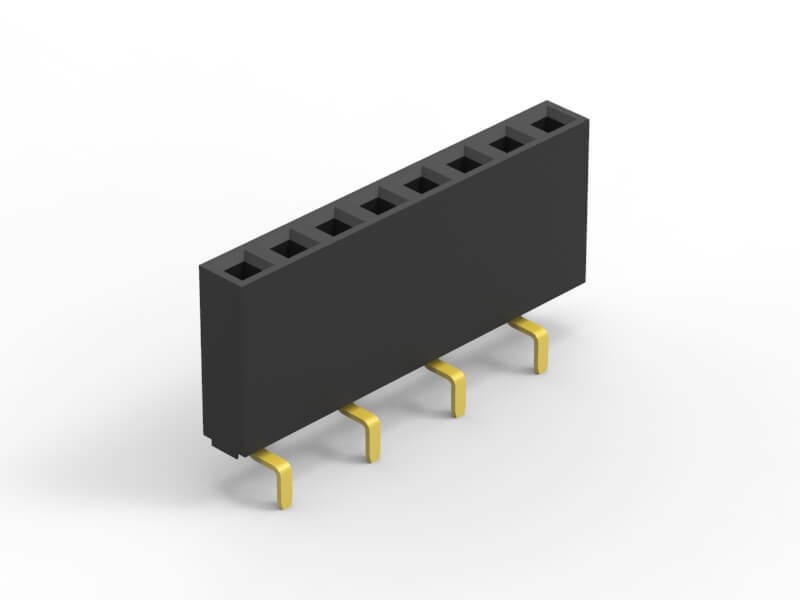 Since 2.54mm pitch female header is commonly used in a lot of applications, Scondar offers numerous options for this type of female header. 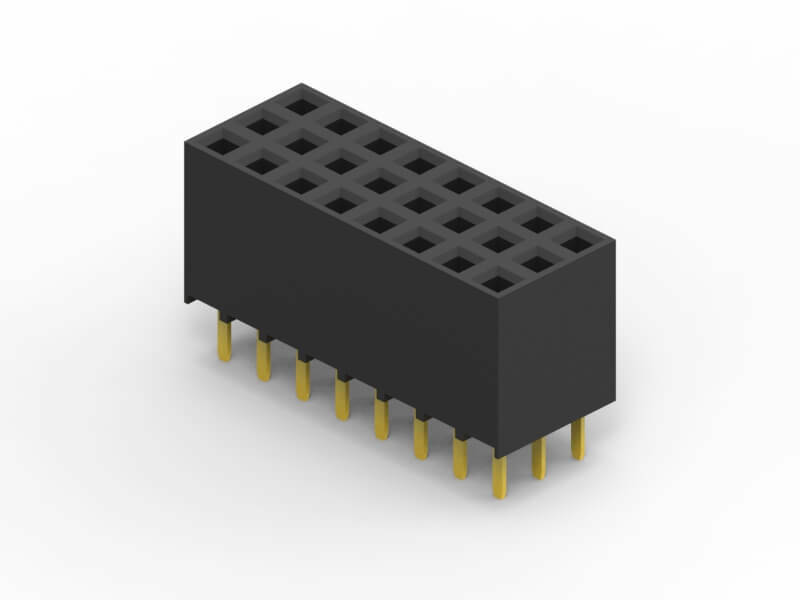 Orientation can either be SMT or THM, single, dual or triple row. 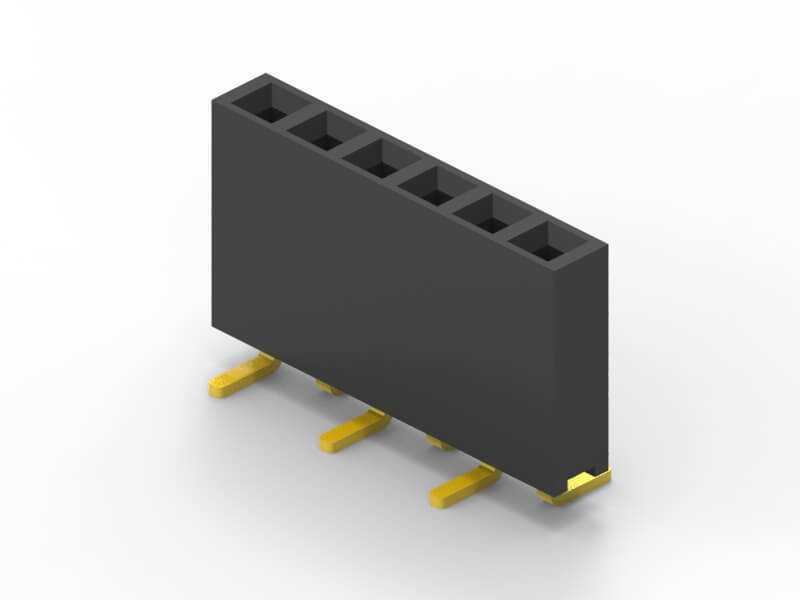 Scondar offers 2.54mm pitch female headers in either vertical or right-angle orientation. The pins and blades are also available in various sizes, counts, amperages, and plating. 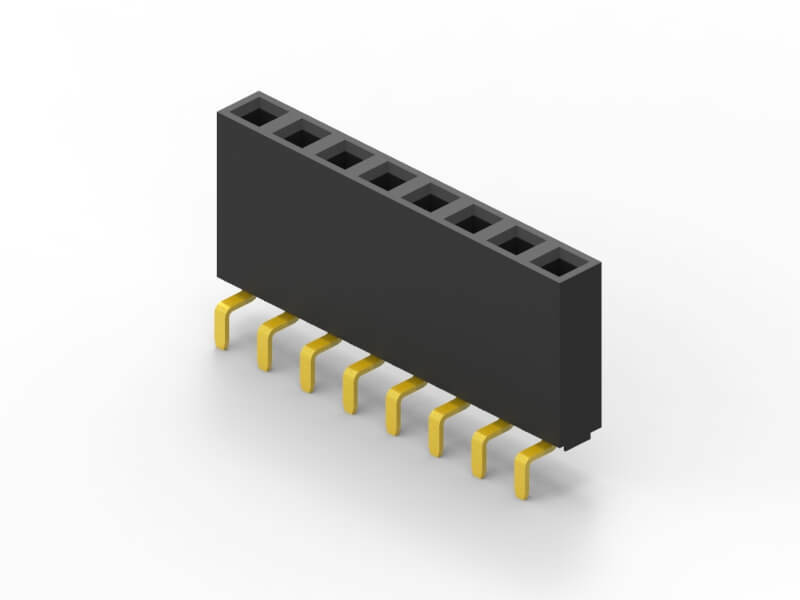 The 2.54mm can accommodate a maximum current of 3A, with a 30 to 22 AWG wire size, and up to 40-positions. Scondar offers these female headers in high quality and affordable China-quoted price that snuggly fits with the pins of a male header and acts as a receptacle. 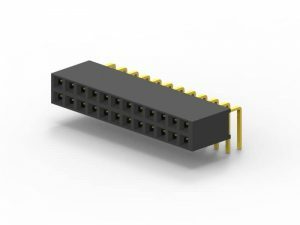 Female header always called as “Header connector”, Scondar provide widely range of header connector, from 2.54mm (.100″ inch) pitch to 1.0mm (.039″ inch) pitch. The number of pins (contacts) is from 2 to 40 pins per row. There are three type: Straight (Dip Vertical), Right angle, SMT (surface mount). For densely packed equipment requiring weight reduction and downsizing and for tough and harsh conditions. Battery connections rely on the ability of the current to pass reliable and solid current. This prevents overheating in the circuit and voltage drop. Shaped Female header, 2.54mm U-Shaped Dual Row Female header are examples of Scondar products with through-hole mount type. 2.54mm, 2-row right-angle female header and 2.54mm, 1-row right-angle female header are Scondar’s featured SMT female headers. 2.54mm pitch female headers may be further classified into pin orientation as well, such as vertical or straight female header, right-angle female header or U-shaped female header. 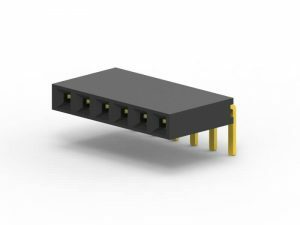 One side of the series of pins is connected to PCB board in which the pins can be at a right-angle to the PCB surface (usually called "straight" or “vertical”) or..
U-shaped orientation is characterized by the shape of the pins at one side of the header, forming a letter “U”. 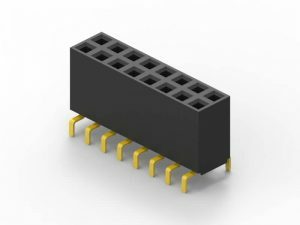 It is often chosen for applications where repeat mating cycles are not required as it can also be used and soldered directly to both PCB's. For a 2.54mm straight or vertical female header, the standard number of rows that Scondar offers ranges from 1 to 2 rows. However, customization can be available if 3, 4 or n number of rows is needed by the customer. Also, the number of contacts for the single row is about 2-40 pins while for dual row, the number contacts may vary from 2-80 pins. Customizable 2.54 mm pitch female headers are also available, making your manufacturing process way faster as the pins are already inserted in the headers, insulator height is made at the right size and the accurate pin length you require is followed.